New Databases and New Milestone: 6 for 92! An index of 133 residents of various towns in Spencer County who attended Indiana State Normal School between 1874 and 1897, as listed in the school’s annual catalogs. Indiana State Normal School was formed in 1865 for the training of teachers, and it later changed its named to Indiana State University. An index of 30 Spencer County veterans, wives and widows who were staying at the Indiana State Soldiers’ Home between 1902 and 1916, as listed in the home’s annual reports. The home was built in 1896 to care for Indiana veterans, as well as their wives and widows. Admissions were based on a quota system for each county, proportional to its population. This database includes their age, birthplace, details of military service and any medical conditions. Explore what records IGS has available. 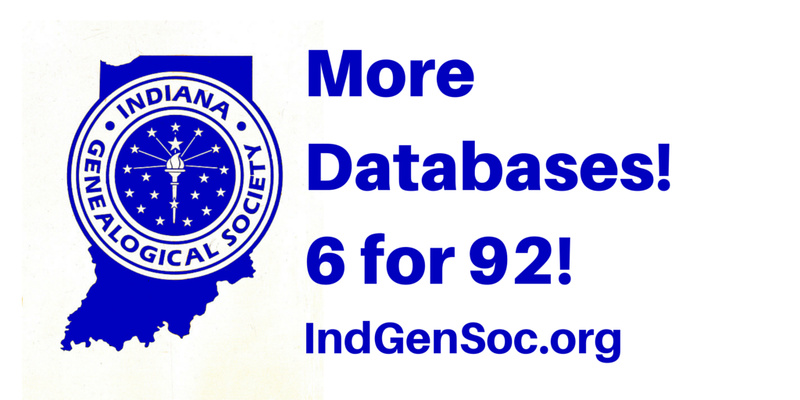 With more than 1,500 databases on the site, you're sure to find something to help your Hoosier research. Summer has unofficially begun. Start your research road trip virtually by taking a look at the newest databases on the Indiana Genealogical Society website. Searchable digital images of listings from a 1930 business directory for the town of Noblesville. This database was contributed by Wayne Klusman. 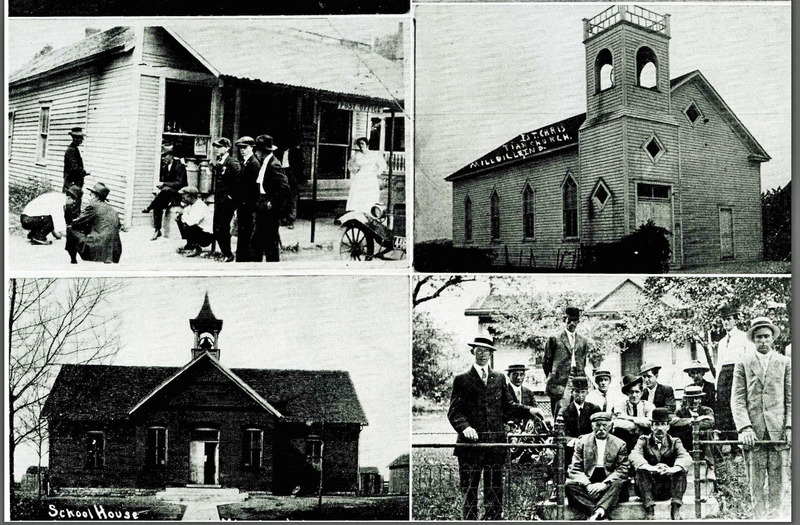 Searchable digital images of residents and businesses, as listed in a centennial history. This database was contributed by Wayne Klusman. Searchable digital images of listings from a 1930 business directory for the town of Roanoke. This database was contributed by Wayne Klusman. An index of 13 seniors and their degrees, as listed in the school’s annual catalogs. The school later changed its name to the University of Evansville. An index of 21 graduating seniors and their degrees, as listed in the school’s annual catalog. An index of 475 students and their home states (ranging from Alabama to Wyoming), as listed in the school’s annual catalog. An index of 25 professors and their positions at the all-male school, as listed in the school’s 1923 yearbook, The Wabash. An index of 500 students, their hometowns and their course of study at the all-male school, as listed in the school’s 1923 yearbook, The Wabash. 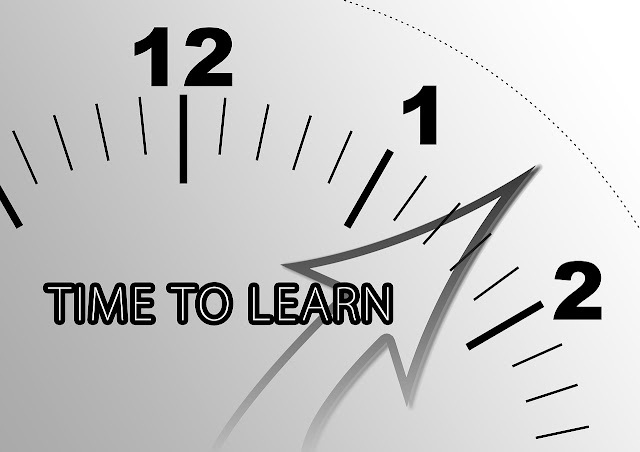 Want to learn more about genealogy? There are events going on across the state during the month of June. Check them out! Southern Indiana Genealogical Society: "History of the Tuley Homestead of Silver Hill" by Kelly Carnighan. 7:00pm, New Albany-Floyd County Public Library. Genealogy Center, Allen County Public Library: "Global Family Reunion." Main Library, 900 Library Plaza, Fort Wayne. See brochure for full schedule. Elkhart County Historical Museum: Walking tours of Baintertown. Meet at Baintertown Park, 67380 CR 29, New Paris, 1:00 & 2:30 pm. Museum staff will explain the history of the area which includes Five Medals, the Wylands, and the Bainters. SullivanMunce Cultural Center: Global Family Reunion, 11:00-3:00, at the cultural center, 225 W. Hawthorne St., Zionsville. Wabash Valley Genealogy Society: Tim Crumrin – “West Terre Haute History & Research: The Rise and Decline of a Small Town.” 6:30pm at the Vigo County Public Library, 1 Library Square, Terre Haute. Hamilton East Public Library, Noblesville: Genealogy Roundtable, 2:15pm. Registration is required by calling (317) 776-6939 or register online. Indiana Historical Society: "Growing Little Leaves," a program for children at Crown Hill Cemetery, Indianapolis, 1:00-3:00pm. Registration is required. Elkhart County Genealogical Society – “Anatomy of An Obituary and Vital Records – Ready-made Family Trees,” will be presented by Penny Bucks and Anita Rodgers. First Presbyterian Church, 200 East Beardsley, Elkhart. Use the East door. 7:00pm. Indiana Historical Society: "Tap, Tap, Tap. There's Another App," at the History Center, 450 W. Ohio St., Indianapolis. 10:00am. Jennings County Public Library: Two sessions on preservation & restoration of area cemeteries by Brad Manzenberger, Conservator, Stone Revival Historical Preservation. 11:00 to 12:00, 2375 State Hwy 3, Mount Vernon. Willard Library: Beginning Genealogy, Courthouse Research, Come to Your Census, and Finding Your Civil War Ancestor. 21 First Avenue, Evansville. See the website for full details. Kosciusko County Historical Society: "How to Write a Family or Community History" with Dan Replogle, author of several books on his family and the communities of Cromwell and Ligonier. Kosciusko County Historical Society Genealogy Library, 112 Indiana St., Warsaw, 10:00am. Twigs Meeting: Learn How to Use FamilySearch.org. Christ the King Lutheran Church, 17195 Cleveland Rd. South Bend, 7pm-8:30pm. Willard Library: I Have the Document, Where Do I Go From Here; Finding Your Revolutionary War Ancestor; Resources for Finding German Families in the Tri-State Area and Germany; and Organizing Your Family Research on the Computer. 21 First Avenue, Evansville. See the website for full details. Indiana State Library: Genealogy for Night Owls. After-hours research at ISL, 315 W. Ohio Street, Indianapolis. 4:30-8:30pm. Registration is required. Call (317) 232-3689 or register online. Willard Library: Full-day seminar with J. Mark Lowe. Topics include: People, Places and River Rocks: Our Ancestors Were More Than Names and Dates; Over the Mountain, Across the Plains: Using Electronic Records to Trace Our Ancestors; Don't Count Me Out: Finding Insolvent Estate Settlements; and Trains of Daniel Boone and Other Western Travelers. 21 First Avenue, Evansville. See the website for full details. Willard Library: "Remember the Raisin" - Life in the Ohio River Valley 1811-1814; Fraternal Order of Everyone: Finding Records Created by Memberships in Clubs; Over There: World War I Genealogy; and Genealogy Through Letters and Personal Correspondence. 21 First Avenue, Evansville. See the website for full details. Willard Library: The Good Old Days: Were They Really? ; Introduction to the New Willard Library Archives; Printing/Publishing Your Family History: Practical Advice. 21 First Avenue, Evansville. See the website for full details. Genealogy Center, Allen County Public Library: "Beginning Your Family History Exploration." Main Library, Meeting Room A, 900 Library Plaza, Fort Wayne. 10:00am. Willard Library: History of Auto and Motorcycle Racing in Evansville and the Tri-State Area, with Ivan Jerome, former driver and researcher. 21 First Avenue, Evansville. 10:00am.